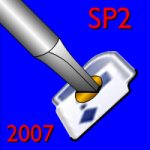 Art Braune just posted this in the Visio Guy newsgroup: Visio 2007 SP2 Released. While the major changes and fixes are summarized in that post and on Microsoft’s websites, I’ve reproduced the items that have been fixed in this article. The service pack contains previously unreleased fixes, as well as all that were released via public updates, security updates, cumulative updates, and hotfixes through February 2009. Appointments in a Microsoft Office Outlook calendar do not import into Visio when the language version of Visio and the Windows locale setting are different. If a Visio file name contains the -r- or -s- characters (for example, “filename -r-“), it triggers a repair of the application when the file is opened in Visio 2007. In a UML Model Diagram, changing the Flow Kind of a Message Object does not correctly reset the Operation field in the UML Message Properties dialog box. Script errors occur when Windows Internet Explorer 8 is used to browse Web pages that are saved from Visio. Visio crashes when the 117th layer is added to the page. When a shape is dragged between two instances of Visio, the open regions of the shape are opaque, and this makes it difficult to position the shape on the new page. When a user creates a new blank drawing, the user cannot select a font size from the font size drop-down list box in the Formatting toolbar. This issue is fixed in SP2. When a Visio drawing is inserted as a linked object in PowerPoint, Word, or Excel, and the link is updated, the quality of the image degrades. When the Reports feature is used to create a report in Microsoft Office Excel, Excel opens without any user interface except the worksheet window. The ribbon does not appear. See David Parker’s Visio blog for more explanation on this problem: Impending SP2 for Visio 2007 – Excel Ribbon Problem. There’s a lot more information contained in an Excel file which enumerates all of the fixes to each of the Office 2007 applicationa. 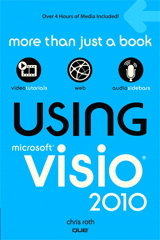 If you want to get straight to installing, you’ll find the Visio 2007 Service Pack 2 download here. Previous Post: « Bonjour, Visio en Français!